Baby Boy Fisher was raised in institutions from the moment of his birth in prison to a single mother. He ultimately came to live with a foster family, where he endured near-constant verbal and physical abuse. In his mid-teens he escaped and enlisted in the navy, where he became a man of the world, raised by the family he created for himself. Finding Fish shows how, out of this unlikely mix of deprivation and hope, an artist was born — first as the child who painted the feelings his words dared not speak, then as a poet and storyteller who would eventually become one of Hollywood's most sought-after screenwriters. 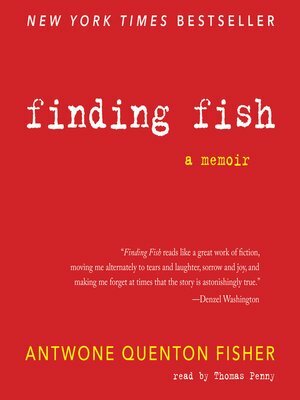 A tumultuous and ultimately gratifying tale of self-discovery written in Fisher's gritty yet melodic literary voice, Finding Fish is an unforgettable reading experience. Mim Eichler Rivas is the author of the acclaimed Beautiful Jim Key, as well as the coauthor of more than eighteen books, including The Pursuit of Happyness and Finding Fish with Antwone Fisher.